Conference Series LLC Ltd invites all the participants across the globe to attend the World Congress on Advancements in Tuberculosis and Lung Diseases on April 22-23, 2019 at Tokyo, Japan with the theme Making Life Better: Fight Against TB and Lung Diseases. On behalf of the Peer Committee, I would like to invite to the upcoming Occupational Health Conference on April 23-24, 2019, going to be held in Berlin, Germany. I assure you that Occupational Health 2019 would be a great platform for you to share across your experiences. Would you be interested to be part of … Continue reading "5th Edition of International Conference on Occupational Health and Public Safety 2019"
It is a great pleasure and an honor to present to you a warm invitation to attend the 24th Annual Conference on Infectious Diseases and Public Health 2019 going to be held during April 22-23, 2019 in Athens, Greece. The theme of the Conference ‘’Finding new treatment ways to cure Infectious Diseases” will support the need for collaboration and cooperation of individuals from a wide … Continue reading "24th Annual Conference on Infectious Diseases and Public Health"
25th Edition of International Conference on Pediatric Cardiology and Health April 22-23, 2019, Madrid, Spain Pediatric Cardiology 2019 will impact an attractive moment to meet researchers in the research field and therefore it takes a delight in opening a gate to meet the ability in the field, young researchers and potential speakers. 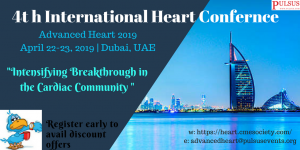 Through our theme “Novel … Continue reading "25th Edition of International Conference on Pediatric Cardiology and Health"
Advanced Heart 2019 is an excellent platform to discuss critically important research and to intensify collaborations and scientific research. This conference aims in gathering renowned Scientists, Professors and Research professionals across the globe under a single roof, where they discuss the research, achievements, and advancements in the field of Cardiology and Heart health and to … Continue reading "4th International Heart conference"
Aging, Health, Wellness Conference: For a better Aging Care scheduled on April 22-23, 2019 Kuala Lumpur, Malaysia goes with the theme Advancing the Future of Healthy Aging. 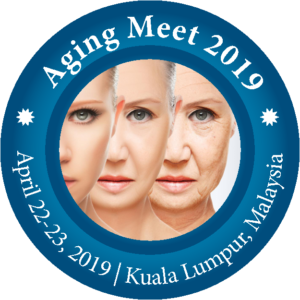 Aging Meet 2019 is an international event focusing on the core knowledge and major advances in the ever-expanding field of Aging, Geriatric Medicine and Gerontology by attracting experts … Continue reading "Aging, Health, Wellness Conference: For a better Aging Care"
Neonatology 2019 is a global conference, which is going to be held in London, UK during April 23-24, 2019. The conference targets the undiscovered phases of neonatal and perinatal research which gives an inimitable chance to researchers all over the world to participate, share and perceive new thoughts and also exploration work. Our theme “Devising modern techniques … Continue reading "23rd Edition of International Conference on Neonatology and Perinatology"